Two JCU postgraduate students will receive a prestigious Fulbright Scholarship to study in the United States of America. Two James Cook University postgraduate students will receive a prestigious Fulbright Scholarship to study in the United States of America. The pair is among only 31 recipients from Australia who have been awarded the Australian-American Fulbright Commission scholarship this year. Dr Harris Eyre and Dr Jean-Paul Hobbs will receive a 2014 Australian Scholarship during a presentation dinner at Brisbane City Hall on March 6. Fulbright recipients receive support to travel to America in a post-graduate, post-doctoral, senior or professorial capacity. Scholars complete research across a range of fields, including science, technology, the arts, education and public policy. 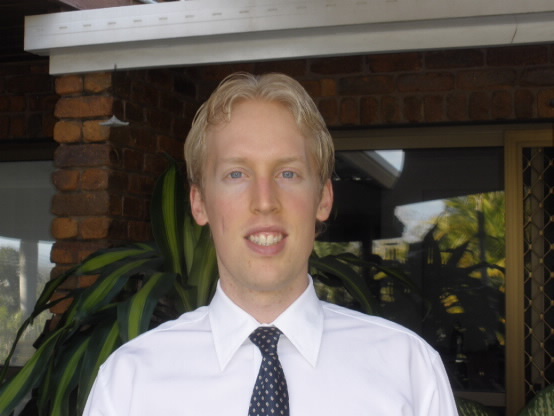 Dr Eyre (pictured above), who will receive a Fulbright Postgraduate Scholarship, received his medical degree from JCU (with Honours) and is undertaking a PhD in preventative psychiatry at the University of Adelaide. Dr Eyre also works as a medical doctor at the Townsville Hospital. From July 2014, he will study with Professor Helen Lavretsky at the University of California, Los Angeles’ Semel Institute of Neuroscience and Human Behavior. “My educational curriculum will include involvement in a number of clinical trials in late-life psychiatry, which will investigate the role of pharmacological and non-pharmacological interventions, including physical activity, in preventing or alleviating cognitive symptoms in ageing,” he said. “The burden of depression and age-related cognitive decline, for example, Alzheimer’s dementia, has a high and rising impact on the world’s population. “Given this point - and our limited understanding of the interface between psychiatry and immunology - understanding how the immune system is involved in these disease processes is a much needed area of exploration. 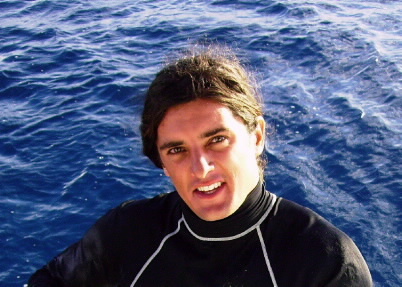 Dr Jean-Paul Hobbs (pictured above), who completed his PhD at JCU in 2011, is a Postdoctoral Fellow at the University of Western Australia Oceans Institute, where he is focused on the conservation of marine biodiversity. Dr Hobbs will study at the Hawaii Institute of Marine Biology at the University of Hawaii from August to May 2015 on his project titled Conserving marine biodiversity by determining and mitigating the risk of extinction for endemic species. Dr Hobbs said efforts to conserve biodiversity had traditionally focused on terrestrial species and we knew much less about conserving marine species. “In the terrestrial environment, species that are restricted or endemic to a small area have the highest rates of extinction,” he said. Dr Hobbs said the Fulbright scholarship would allow him to travel to Hawaii, a global hotspot for marine endemics, to conduct research under the mentorship of Professor Brian Bowen, a world expert in marine conservation research. Dr Hobbs said the collaboration with American professionals and academics would be invaluable. “Professor Bowen’s expertise is not available in Australia and through the Fulbright Scholarship I will learn new knowledge and skills that I can use to address marine conservation issues back in Australia,” he said. Executive Director for the Australian-American Fulbright Commission, Dr Tangerine Holt, said the calibre of the 2014 scholars was exceptional. The Fulbright Program in Australia is funded by the Australian and American governments and a generous group of sponsors. The international Fulbright Program was established in 1946 as an initiative of U.S. Senator J. William Fulbright, who believed that cultural and educational exchange could play an important role in building a lasting world peace. It currently operates between the U.S. and 155 other nations, and more than 325,000 people have become part of a prestigious worldwide alumni.